If you want to take to the waters then this will be a tremendous opportunity for you. You will get to enjoy Key West like most people never get to. You will be on an amazing paddleboard tour and see some of the most beautiful sights you've ever seen. You will get to go through the mangroves and see lots of wildlife in their native habitat. This is the amazing chance of a lifetime and you won't want to miss it. This is also a family-friendly adventure where you will get to explore with your family if you want. If you are looking for relaxing day out of the city then look no further. You will be able to bring your family with you and see everything you've always wanted to see. It is also a great chance for you to spend the day bonding. You will get to have close encounters with all different types of wildlife as well as spend the day out of the city relaxing and having the time of your life. You can even get lessons on the paddleboard if you want. It starts with you picking up your rental for two hours at the store. 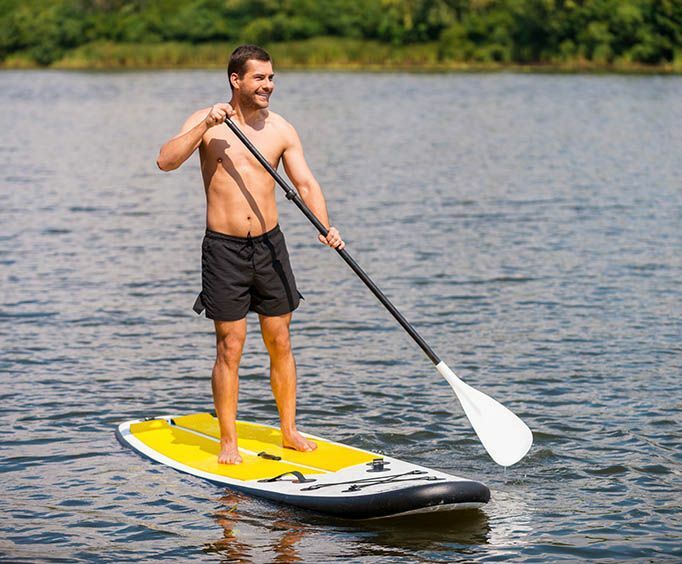 Your guide will give you a simple lesson so you can learn how to operate the paddleboard. After you've learned how to operate the paddleboard then you are all set and ready to go. It will be a great chance for you to relax and have fun. It will be a tremendous opportunity for you to go around and enjoy some of the best waters of Key West. It will also be very peaceful so if you really want to get away from it all then it is the perfect opportunity. Upon check in, the operator goes over a map of the area and makes suggestions on the best places to paddle. Before going into the water, take a brief lesson on dry land. If you've chosen a full 2-hour rental, set out immediately to explore the mangrove creeks and sea grass beds nearby while looking for the marine wildlife that can easily be seen beneath the clear waters. 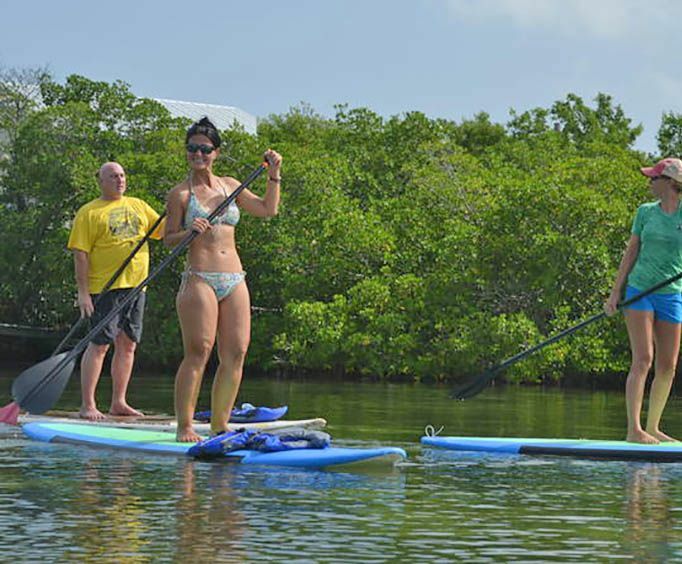 If you've chosen a lesson and a rental, enter the water with your guide for a 1-hour paddleboarding lesson, then paddle off to explore the water with your remaining 1-hour rental. Water, dry bags, hats, and sunscreen are available for sale at the operator's booth. A restaurant, bar, and restroom are available onsite. This is a great experience for paddlers of all abilities. Families and dogs are welcome. 2-hour paddleboard rental beginning at 9:00am. 4-hour paddleboard rental beginning at 9:00am. 8-hour paddleboard rental beginning at 9:00am. 2-hour paddleboard rental beginning at 11:00am. 4-hour paddleboard rental beginning at 11:00am. 2-hour paddleboard rental beginning at 1:00pm. 4-hour paddleboard rental beginning at 1:00pm. 2-hour paddleboard rental beginning at 3:00pm.